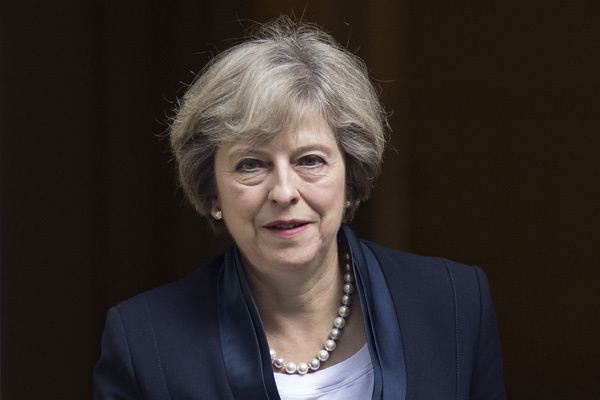 LONDON, Feb 02 (APP):British Prime Minister Theresa May hosted a Chinese New Year reception at Downing Street to celebrate the enormous contribution of the Chinese community to British life. According to a statement of Prime Minister’s Office, 10 Downing Street and the Rt Hon Theresa May MP placeholder Prime Minister Theresa May welcomed families from across the UK to Downing Street earlier this week for a colourful Chinese New Year reception. Guests were treated to a display of lights and hanging lanterns, while the No10 door was specially decorated with cherry blossoms and traditional Chinese couplets. The community-focused event saw over 100 primary school children from schools in Manchester, Birmingham, West Midlands, Liverpool, Brighton, Essex and London mingling with guests including media chef Ching-He Huang. They all gathered to watch the Prime Minister take part in the ‘Lion Eye Dotting Ceremony’ – an ancient Chinese ritual signifying luck and prosperity, in which the lion’s head is dotted with paint to awaken it to dance. Prime Minister Theresa May on the occasion said, “The United Kingdom (UK) is home to a vibrant British Chinese population and the Chinese New Year celebrations give us the opportunity to celebrate the important role that our Chinese community plays in British life”. “I was delighted to welcome so many children and young people to Downing Street to take part in our own celebrations and I’d like to wish everyone celebrating Chinese New Year a prosperous and auspicious Year of the Pig”,she remarked. The statement said that throughout the afternoon, children from the London Mandarin School took part in a range of traditional Chinese arts and crafts activities across No 10’s State Rooms including Chinese paper-cutting, knot-tying and lantern-making. On the occasion, guests also enjoyed musical performances played on the Gu Zheng– an ancient Chinese string instrument, before enjoying an array of Chinese dishes prepared by celebrity chef Chung-He Huang and students from Crawley College, the first dedicated centre to offer Chinese cooking to its students. Ministers at the reception included Mark Field, Minister of State for the Foreign and Commonwealth Office; Jeremy Wright, Secretary of State for the Department of Digital,Culture, Media and Sport; and David Lidington, Minister for the Cabinet Office and Chancellor of the Duchy of Lancaster.